Beat This Caption Contest 154 Winner – Caption Contest Funny Clever Witty Enter Today! The Double-Mint Twins on a Date! 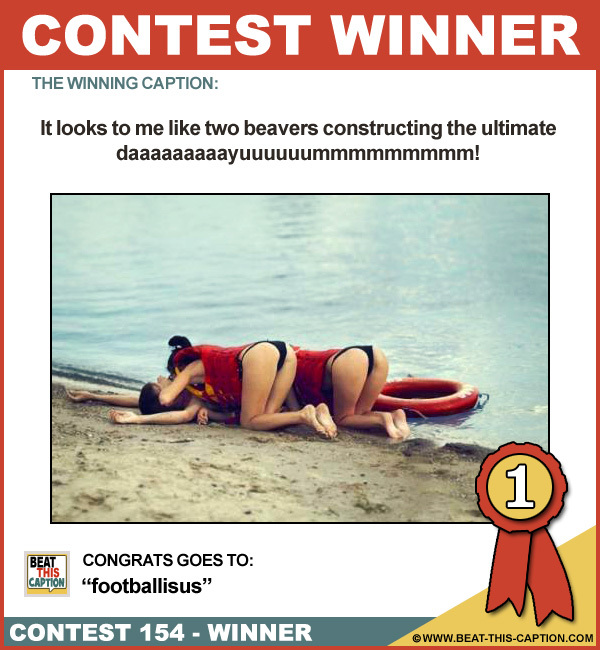 It looks to me like two beavers constructing the ultimate daaaaaaaaayuuuuuummmmmmmmm! LOL! Damn Beavers, always looking for Wood! :) Great Caption! You WIN! Even though she couldn’t see his face, Jackie immediately recognized Dan! He’ll be OK… his tongue’s wiggling and his willie is smiling! Grandma said this is how she got her fella! !